Though many people in this region have kept bees for years, a field study that we conducted in 2015 shows a striking lack of knowledge and simple skills. Most beekeepers have never undergone any kind of training. Teaching materials are completely out-dated. But only modern knowledge will guarantee successful business management. This is why our initiative aims to provide participantss with their own training portfolio. The texts will be selected and edited with German bee experts and translated into Georgian. Providing and translating teaching films in Georgian will form another part of our approach. These films don´t necessarily have to be produced from scratch and can also be used to reach beekeepers in other parts of Georgia. The theoretical knowledge is complemented and practically put into action in on-site support from March to September. Over a period of three years, beekeepers in the region are to be trained in modern, ecological methods of beekeeping in three stages. The program will not only enable its participants to harvest better honey in both quality and quantity, but it also teaches environmental methods and techniques. This will improve the participants’ income as well as the bee´s sanity. The graduates of our course will eventually act as multipliers of the new knowledge to other beekeepers. The trainings will be conducted by an experienced Georgian trainer. 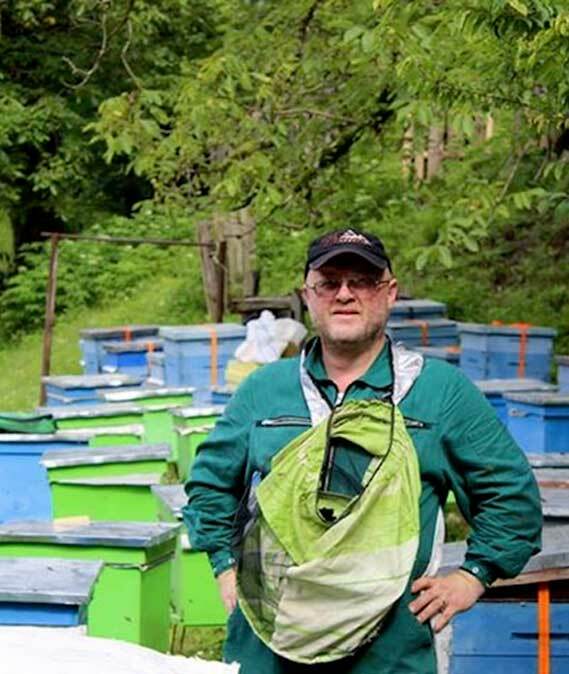 With Mr. Zaza Gurtskaia, our association has an experienced teacher with more than thirty years of experience in beekeeping. 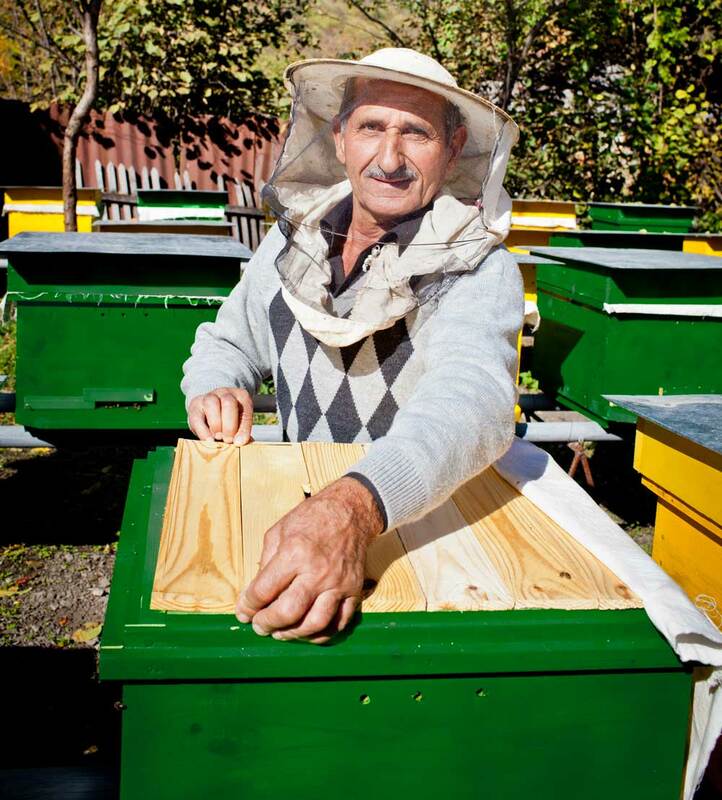 He has already set up a similar project funded by USAID in his home region in western Georgia and has been coaching other beekeeping projects for SOS CHILDREN´S VILLAGE and COUNTERPART INTERNATIONAL. Today the members of his cooperative are able to produce up to 50 to 70% more honey. Thanks to stronger market access, the cooperative is able to sell its honey under far better conditions. This was achieved by environmental strategies in bee management as well as changing from »Dadant« to »Langstroth«-systems. By manufacturing the wooden hives themselves, the cooperative offers not only cheaper equipment to its members, but products they can sell these to others. The total number of students is limited to 15. The participants receive practical training instruction on the ground at their bee colonies in a two-week cycle. In addition, the trainer will hold theoretical lectures in order to broaden knowledge on topics such as ecological beekeeping, quality, hygiene, varroa mite control, etc. 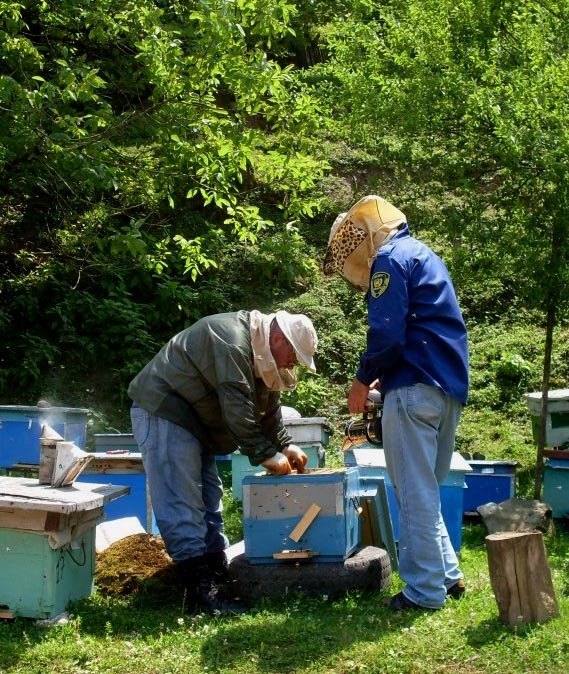 This part of the program is supported by the president of the »Association of Professional Beekeepers of Georgia«, Mr. Teimuraz Gogoberidze, who has been active in apiary and research in Georgia for many years.